Dragons exist. They're ferocious. And, in this novel from C. J. Hill, they're smart: before they were killed off by slayer-knights, they rendered a select group of eggs dormant so their offspring would survive. 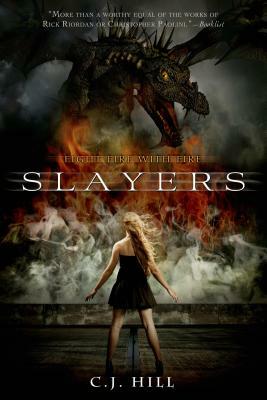 Only a handful of people know about this, let alone believe it—these "Slayers" are descended from the original knights and are now a diverse group of teens that includes Tori, a smart but spoiled senator's daughter who didn't sign up to save the world. C.J. Hill is the pseudonym for a popular young adult author who made her fantasy debut with Slayers.